Kat Stays Polished | Beauty Blog with a Dash of Life: Thanks-A-Latte! 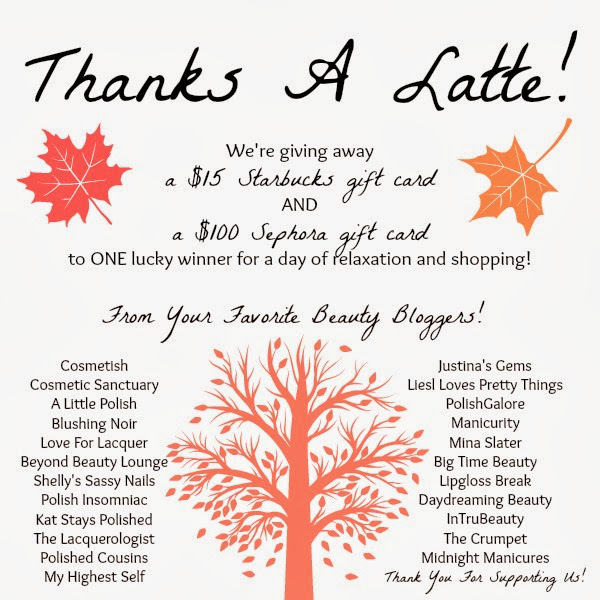 - Starbucks and Sephora Giveaway! Enter the giveaway via the Rafflecopter widget below. Open Internationally! Good luck! I do not have smart phone and instragram account. Can I still attend the giveaway? You can certainly enter using the rest of the entries.